Star Trek Into Darkness was just spoiled for me. I wasn't looking for spoilers - I've been avoiding plot details like the plague. I accidentally came across them on the internet while I was looking for something else. I had a good plan - avoid scifi websites, don’t read social media, and clear my schedule to see the movie the moment it’s released. While I have tickets for the first night of fan screenings on Wednesday, the movie already came out in most of the world. This really irritated me - J.J. Abrams wants to preserve the magic of mysteries, so why release the movie at different times throughout the world?!? This guarantees that any citizen of the internet will get exposed to some plot details before they even have the chance to see Star Trek Into Darkness. Spoilers piss me off. I love walking into a movie without any knowledge of what's going to happen. It's not about the plot - it's about going on the journey the filmmakers intended. I want to be moved, to feel something. Spoilers destroy that experience for me and it's getting harder and harder to avoid them. But the science of spoilers says I’m wrong, that I’ll enjoy the experience even more once it's been spoiled. While it's a total confirmation bias on my part, I'm here to tell you the science is wrong - at least our interpretation of it is. Results indicate people like stories better if they've been spoiled (Leavitt & Christenfeld, 2011). To date, there’s been only 1 experiment about spoilers (Story Spoilers Don’t Spoil Stories). Psychologists Jonathan D. Leavitt and Nicholas J. S. Christenfeld of the University of California, San Diego had 819 (176 male, 643 female) undergraduate students participate in an experiment in which they read 3 stories they had not read before. Each was written by a real author (John Updike, Roald Dahl, Anton Chekhov, Agatha Christie, and Raymond Carver) and included ironic-twists, mysteries, and evocative literary stories. Story were either unspoiled, spoiled before reading, or a spoiler was included in the introductory text. Participants were then asked to rate their enjoyment of the story. Writers use their artistry to make stories interesting, to engage readers, and to surprise them, but we found that giving away these surprises makes readers like stories better...spoilers may allow readers to organize developments, anticipate the implications of events, and resolve ambiguities that occur in the course of reading. It is possible that spoilers enhance enjoyment by actually increasing tension. Knowing the ending of Oedipus Rex may heighten the pleasurable tension caused by the disparity in knowledge between the omniscient reader and the character marching to his doom. This notion is consistent with the assertion that stories can be reread with no diminution of suspense…Erroneous intuitions about the nature of spoilers may persist because individual readers are unable to compare spoiled and unspoiled experiences of a novel story. In non-academic speak, spoilers may help people understand stories. Knowing what's going to happen might also make things more fun by giving you something to look forward to. This is supported by the research on rereading stories – most people enjoy a story as much, if not more, the second time they read it. I gotta admit, the experiment itself is pretty rock solid. It had a large sample size, was well counter-balanced across experimental conditions, and had solid statistical results. In science, we call this good internal validity - since the experiment was well designed and implemented, we know the results are trustworthy. I also buy the argument that knowledge about a story can help people enjoy it more. As the researchers mention, this speaks to perceptual fluency - the easier it is to understand something, the more we enjoy it. Whenever I see a book to movie adaptation, I always enjoy the movie better if I've already read the book. Movie trailers also help me understand what a movie is about. The same is true of non-story experiences - I like museum exhibits better when I already know about the artists and their artwork. Star Trek Into Darkness has been occupying my mind for a very long time. But the results of this experiment just don't apply to how spoilers are experienced in real life. This is called poor external validity. People who complain about getting spoilers are really invested in the story they're anticipating. 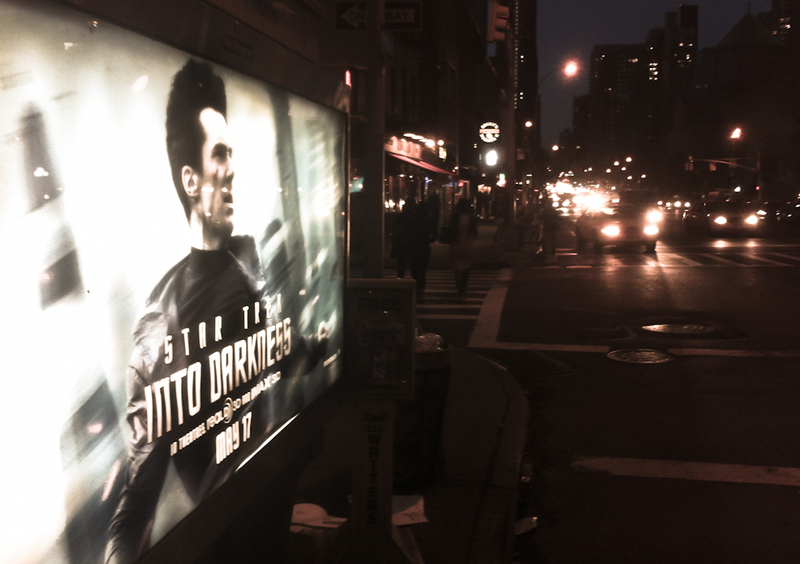 I've been looking forward to Star Trek Into Darkness since the movie was announced in 2009. THAT'S 3 YEARS OF ANTICIPATION! No offense to John Updike and friends, but I doubt any of the participants in this study were anticipating the short stories they were asked to read. While I don't have any data to back this up, my experience tells me that the more someone cares about a story and is looking forward to it, the more spoilers will affect them. One of the reasons people are so affected by spoilers is because of the way things get spoiled. No one reads a spoiler right before they experience a story (as they did in this experiment). Real life spoilers happen in an elevator on the way to work when random strangers vent about who got killed in last night's Game of Thrones. People hate spoilers because they happen out of our control in situations we never anticipate about stories we love. Spoilers aren’t sought-out, they’re an unwanted experience that happens to you. None of that is reflected in this experiment (poor external validity). What I want to do when I hear spoilers. This experiment measured how much individuals enjoyed literature that was spoiled for them. But if you talk to anyone who's experienced a spoiler, they usually talk about getting mad. Anger at having a story spoiled and enjoying a story are two very different things. I'm still going to love watching Star Trek Into Darkness next week and I'm really upset that I don't get to experience a JJ Abrams mystery box. It’s a dialectic - both emotions can occur at the same time (though I'll probably adapt to my anger well before I see the movie next week). Unfortunately, this experiment didn't measure anger. Films like North By Northwest are difficult for people who struggle with strong emotions. Some people don't care about spoilers. Part of that comes from a lack of emotional investment in a story. Most of my non-Trekkie friends wouldn't care about the Star Trek Into Darkness spoiler I know - the movie is just another summer blockbuster to them. But another huge factor is how you approach strong emotions. For a lot of people, intense suspense isn't a fun experience - it's something to be avoided. Psychologists call this experiential avoidance - the tendency to avoid thoughts, feelings, memories, and physical sensations that are unpleasant. For people who hate suspense, intentionally reading spoilers could really improve their movie watching experience. Think about watching any Hitchcock film - if you're very sensitive to suspense, knowing what's going to happen beforehand could be the difference between enjoying the movie and being tormented by it. Experiential avoidance was not evaluated in this study. Despite everything I just wrote, I really do like this experiment and emailed the researchers back in November to praise their efforts. However, like any new line of research, there are a lot of ways in which the study can be improved. The idea that emotional investment impacts the experience of spoilers needs to be tested. You can easily do this in an experiment by artificially inflating the expectations of one group of participants (e.g. have someone in the waiting room tell the participant how cool the story they're about to read is). You could also increase external validity by having stories spoiled in more realistic ways (e.g. the experimenter reveals the ending of a story completely out of context). Researchers can also easily integrate measures of anger about spoilers and assess experiential avoidance related to suspense. People experience stories for a wide variety of reasons. I love Star Trek, but I don't care if someone tells me the ending to The Hangover Part III. Making blanket statements about how spoilers are experienced without integrating the complexity of real life just isn’t good science. May 12, 2013 Update: Someone just sent me Jennifer Richler's article about spoilers from The Atlantic. I didn't read her article before writing this one, but I'm happy to see we share many of the same ideas about why spoilers are so bad.